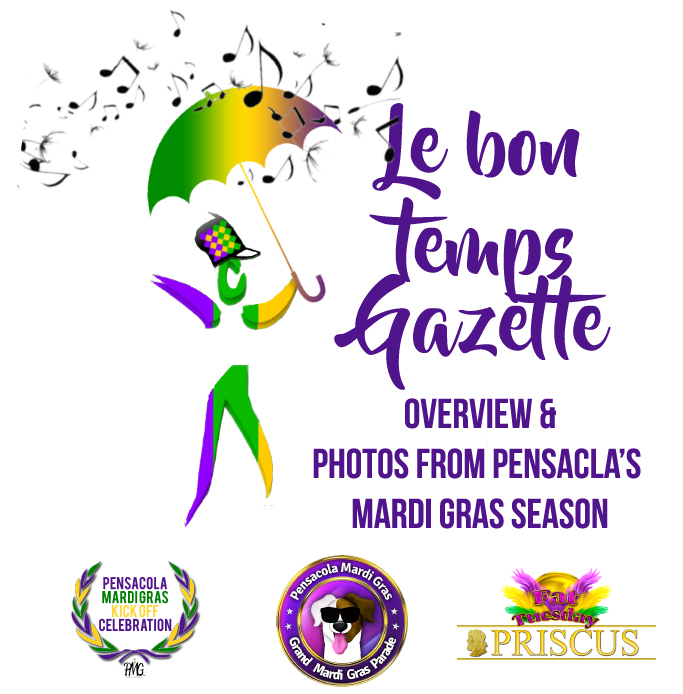 Welcome to Pensacola Mardi Gras’ Le Bon Temps Gazette! Throughout the 2019 Mardi Gras season, we’re bringing you all the news that’s fit to print — and some that isn’t! Our team is hitting the town to bring you the sights and stories from the parties, events, balls and other exciting things happening during Pensacola’s Mardi Gras Season. If you’d like our team to cover your event, email Julio Diaz at diaz_julio@yahoo.com.